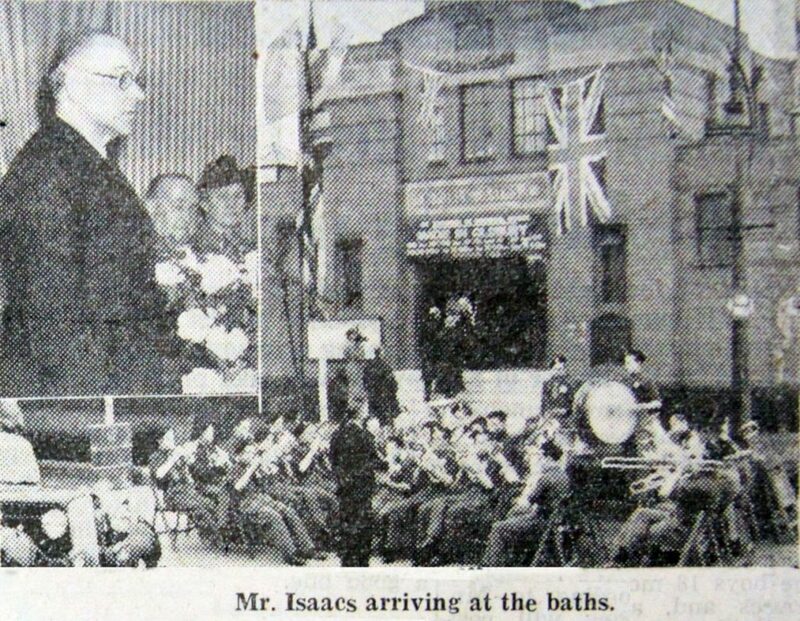 In March 1949, that Oldbury Local Employment Committee staged an ‘Exhibition of local Industrial Effort’ to show ‘what Oldbury makes, why Oldbury makes it, and where Oldbury products go.’ Opened by George Isaacs, the Minister of Labour, it was described as ‘Oldbury’s biggest ever exhibition’, the first of its kind to be held anywhere in the country. Mr Isaacs also commented on the souvenir brochure: ‘I am very surprised that there is nothing in this booklet about printing. I am a printer and I would like to say that this is one of the best examples of printing I have seen in a long time.’ He was particularly interested in the work of J.A Webb and Company. One of their products that caught his attention was a miniature hand type-casting machine, and an automatic canister code-printing machine. 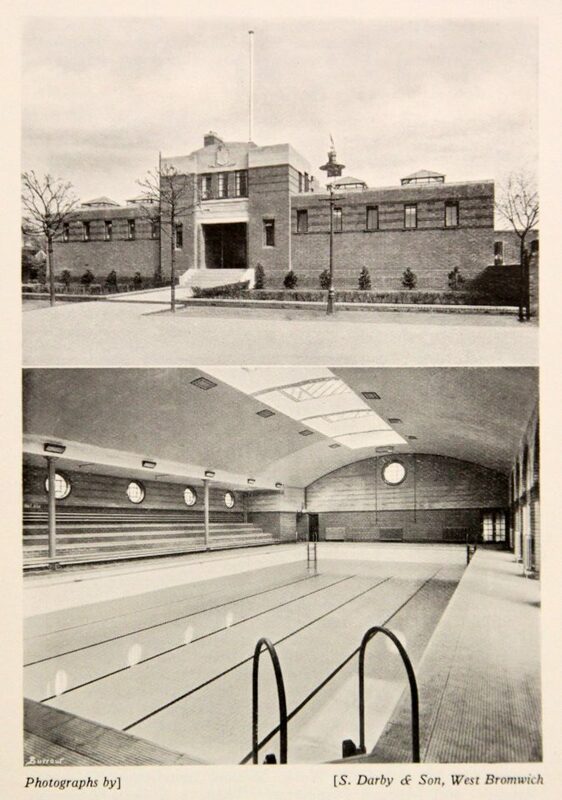 Much of the exhibition over four days at Langley Baths consisted of a preview of the wares of 30 firms, which would go to the British Industrial Fair in May at Olympia. 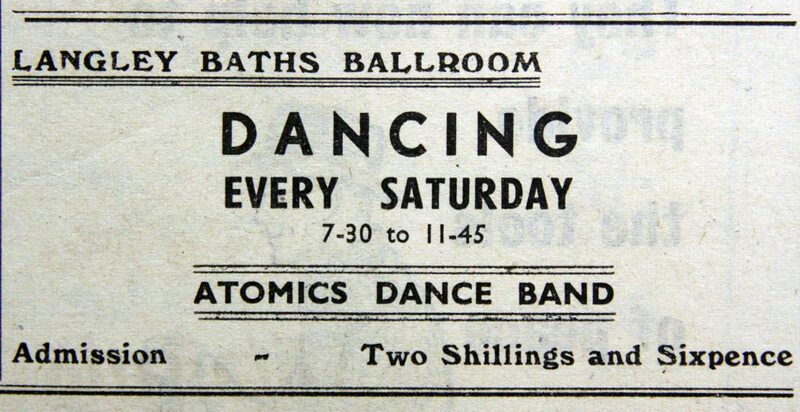 There was also a civic display called ‘Britain in The Balance’, along with a cinema. One of the most crowded stands was the Borough Council’s health section, where the gas and air analgesia apparatus for use in painless childbirth was displayed. It was pointed out that over the past six months only 20 women thus far had taken advantage of this apparatus in home births, even though all Oldbury midwives were trained it its use. 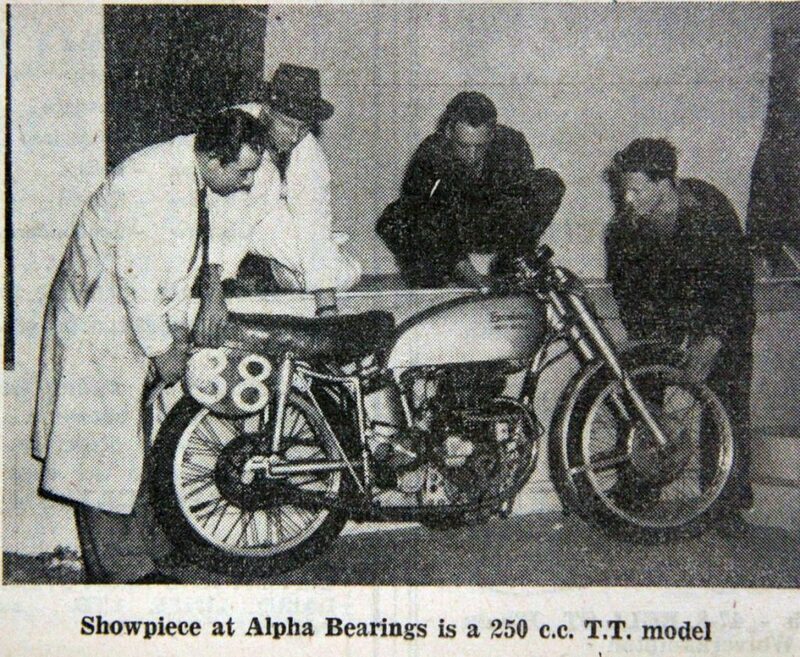 ‘I’ve lived and worked in and around Oldbury for 29 years and had no idea that these things were all being made in the town’, said Mr. A. Moore, who originally came from London. Mr. H. Spittle, of Oldbury, was interested in steel window frames, planning to build a sun-trap verandah for his home. 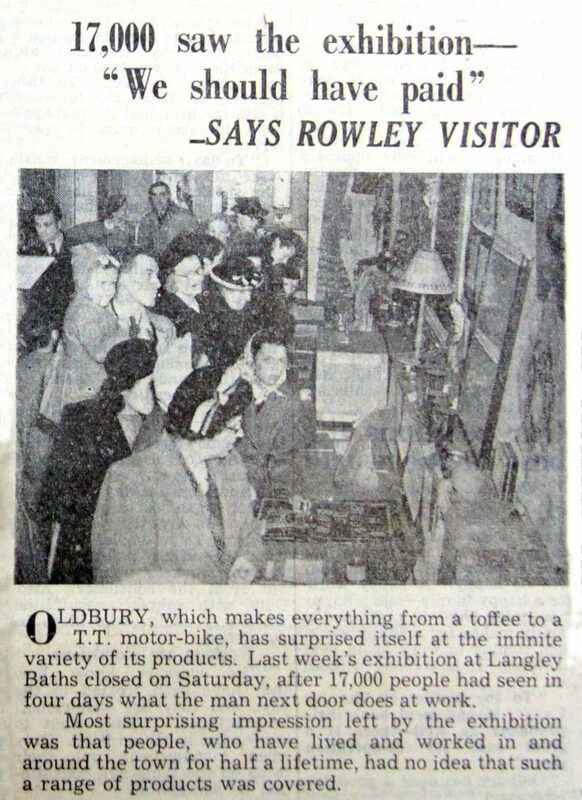 He said he was very surprised by the range of the exhibition. 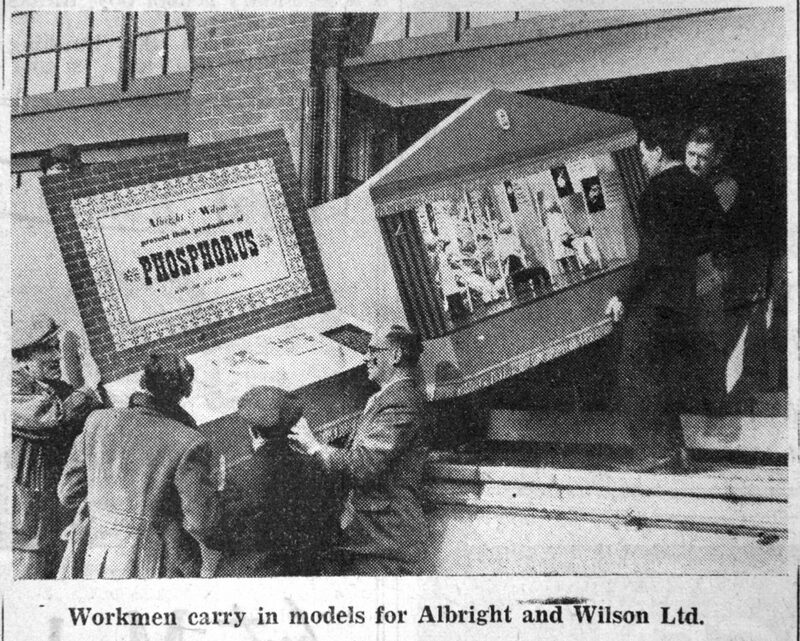 Advert in Warley News, 1949. 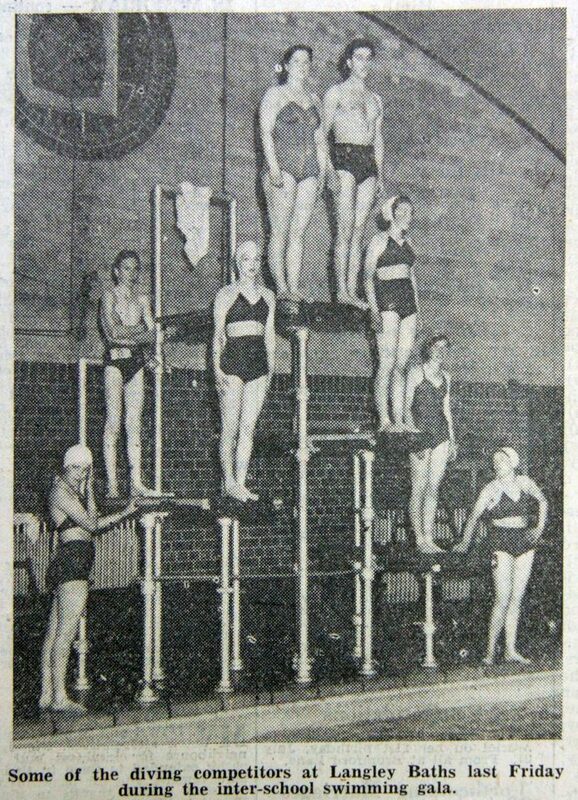 County Police swimming gala, 1956. 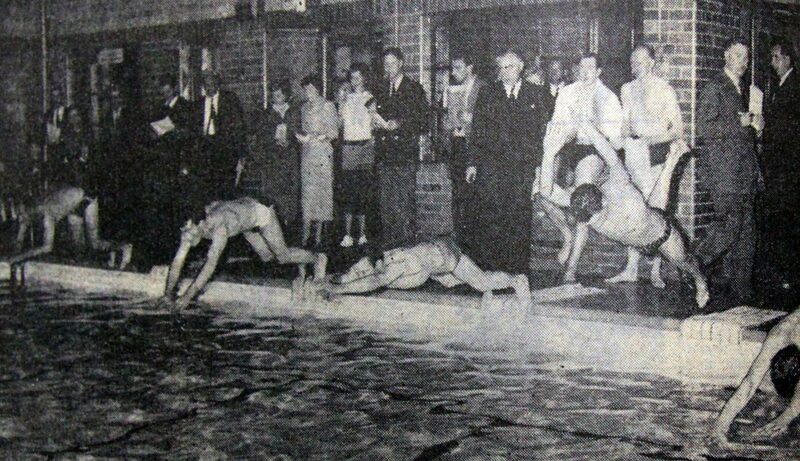 Albright & Wilson swimming Gala, 1956. 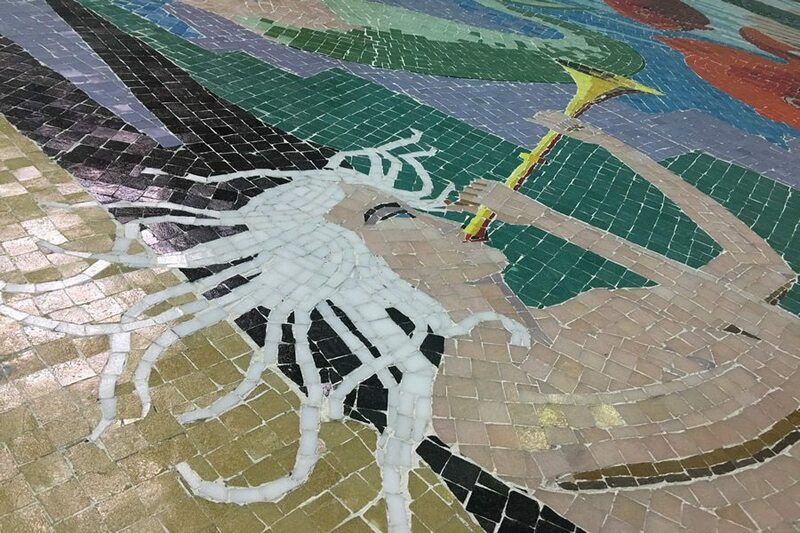 The baths are known for their colourful mosaic along one wall. 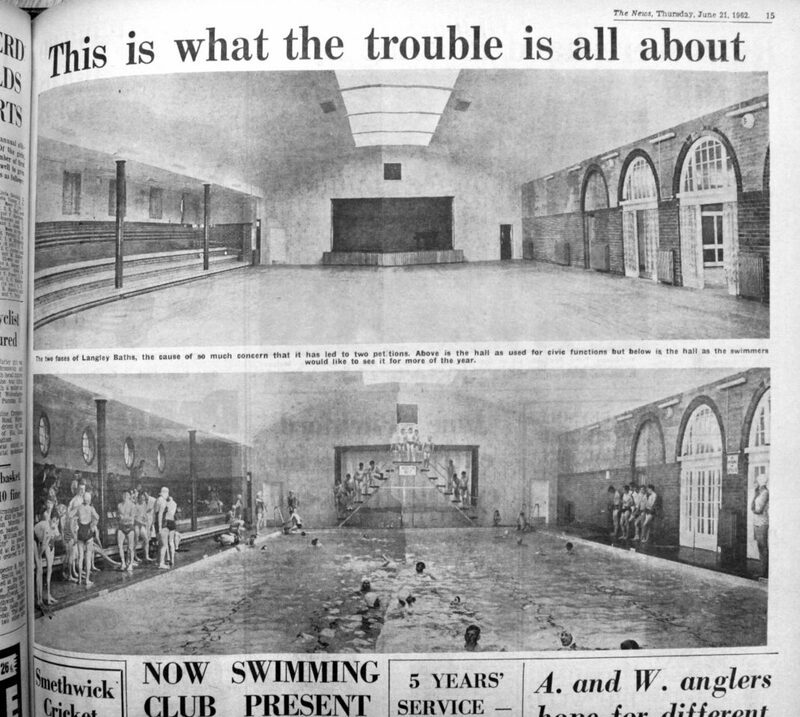 Amazingly, John Robinson, the Assistant Operations Manager of Sandwell Leisure Trust - who run the swimming centre today - worked on the piece in 1967/68 as part of his art class when attending Albright Boys School. The art teacher was Mr. Frost. 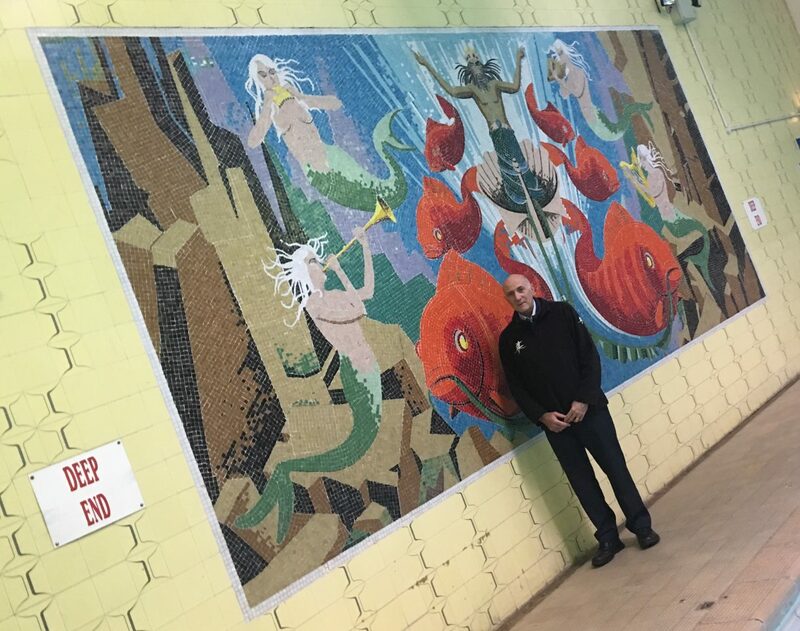 John Robinson at Langley Baths, 2017.